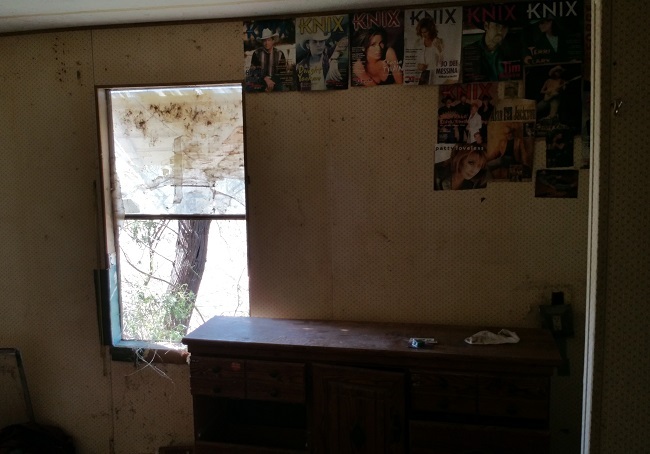 Phoenix, Arizona and the surrounding area is home to a fascinating variety of abandoned places. 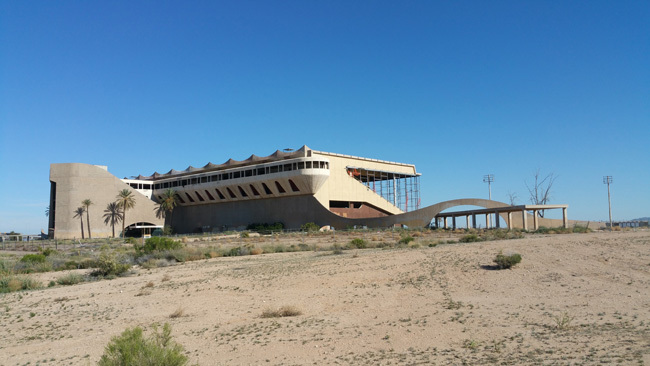 My favorite so far were the incredible ruins of Phoenix Trotting Park, and I couldn't wait to find out what else Arizona had in store for me. I woke up at sunrise, my mind running through the list of places I hoped to explore before the day's end. A man in a bright yellow construction vest gave a long suspicious glare at my car before climbing into his pickup truck and driving off. I'd hoped to be on the road before any of the locals had a chance to notice the unfamiliar car with California plates parked in their quiet Phoenix neighborhood. I jumped into the drivers seat and headed out. I'd driven only a few miles when an abandoned building caught my eye, so I stopped to take a closer look. 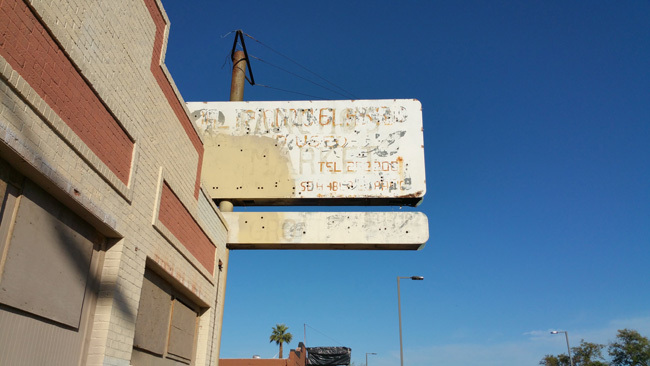 The fading sign read Pancho's Market. 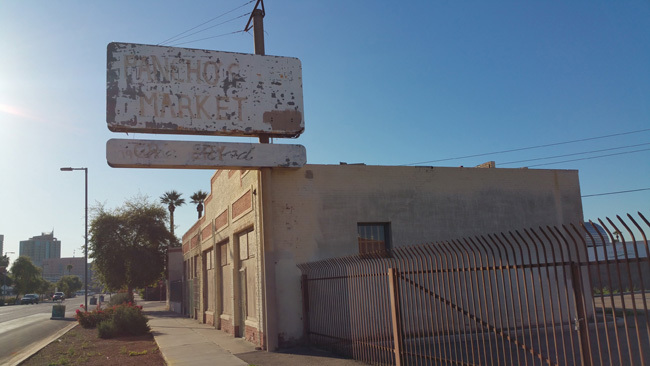 A little research online turned up a Pancho's Market in a different part of Phoenix, but no mention of the location I'd stumbled upon. 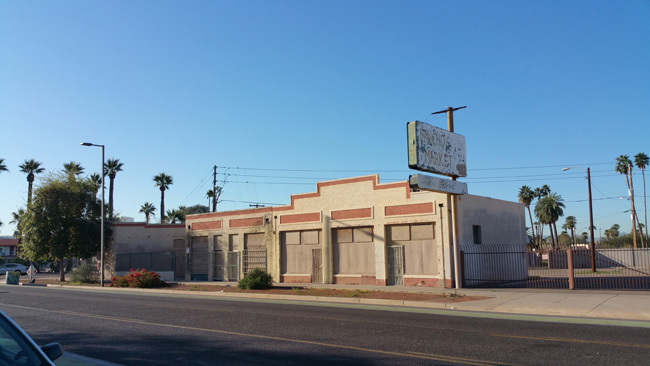 I looked up the address I found online, but Google Street View showed an empty storefront. Either Pancho's Market has moved to yet another location or gone out of business. 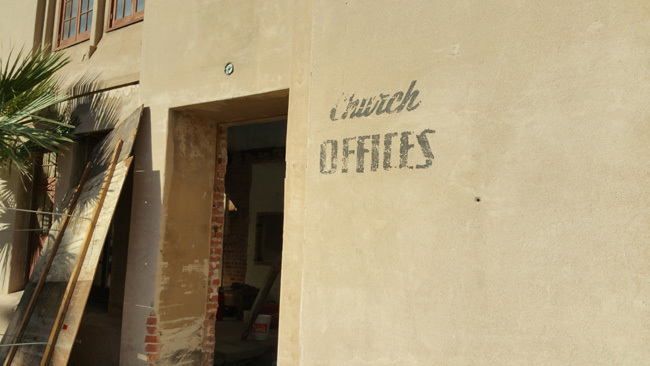 I drove downtown to check out the beautiful remains of the First Baptist Church. 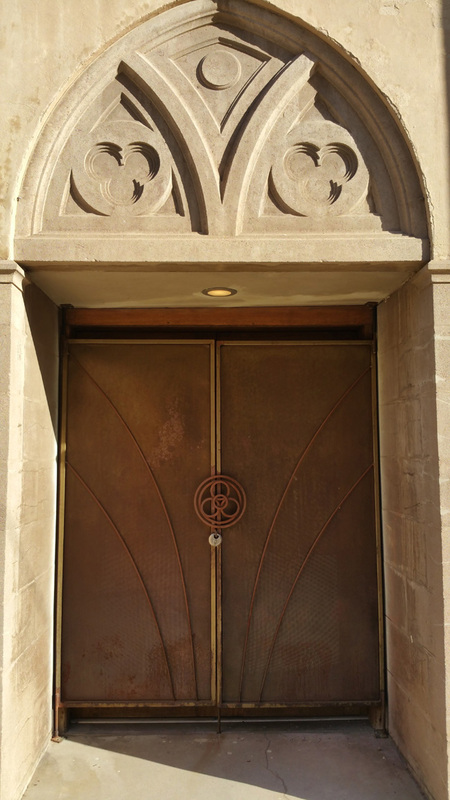 Built in 1929, the church had a huge auditorium in its center with seating for 1500 people. 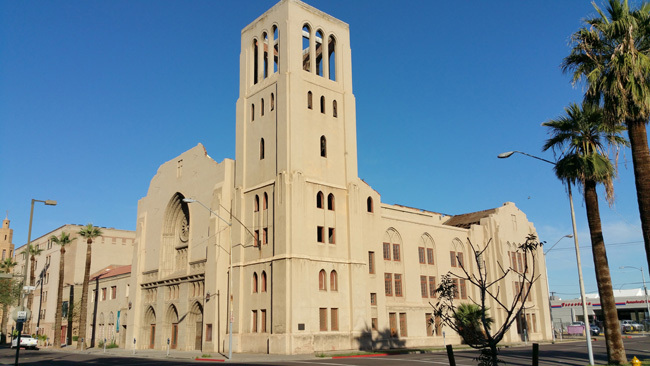 The congregation relocated in 1969, leaving the building vacant. I assume they moved for financial reasons, but I can't be sure. If anyone has any information, please let me know in the comment section below. 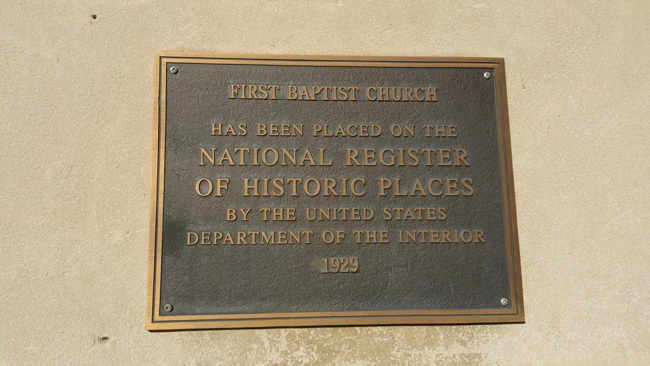 The church was placed on the National Register of Historic Places in 1982. A devastating fire broke out in 1984, gutting much of the inside and causing the roof to collapse. 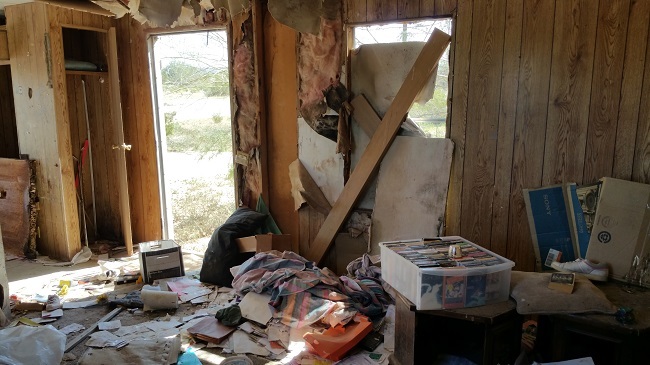 The building was saved from demolition by the Housing Opportunity Center, a nonprofit organization, which purchased it in 1993. 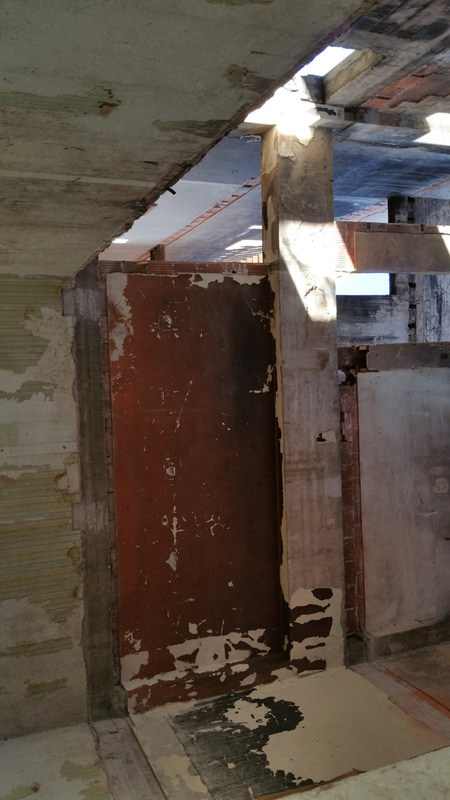 I was looking forward to seeing how nature had transformed the roofless structure over the decades. But when I arrived the building was buzzing with activity. I peered inside to find a construction crew hard at work as a small group of well-dressed men meandered through on a tour. 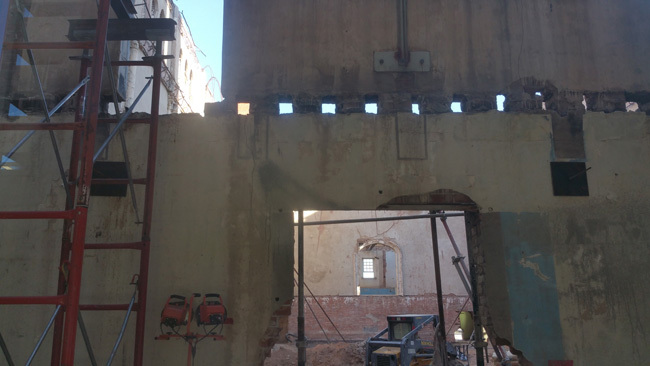 From the look of the place, it appeared construction had begun within the last several weeks. It's nice to know that the building will once again serve a purpose. I just wish I'd gotten a chance to see it before all the excitement began. 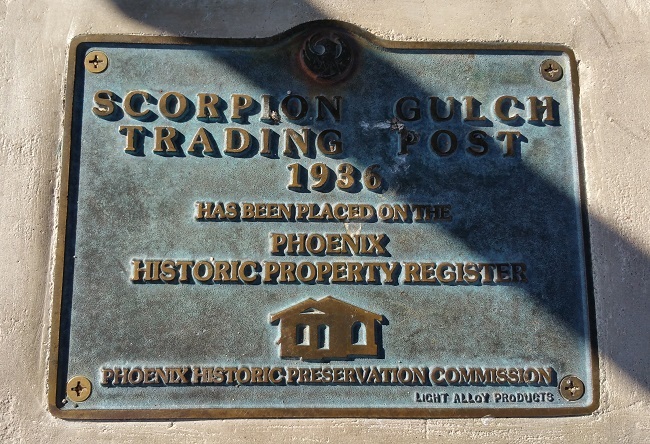 My next stop was Scorpion Gulch, the site of an old stone house, soda shop, and curio store with a huge cactus garden. William Lunsford and his wife built the place by hand in 1936 and operated it until the late '60s. 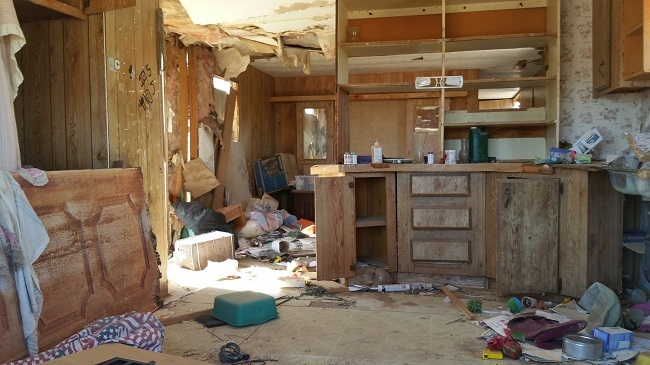 Lunsford had a soft spot for children and was affectionately known as "Grandpa" by the neighborhood kids who flocked to his store on the weekends. Parents often called to notify him when a group of children were on their way. It is said that Lunsford didn't like to see two kids sharing a bottle of soda because it spread germs, and would give one of them a soda for free if they didn't have enough cash. 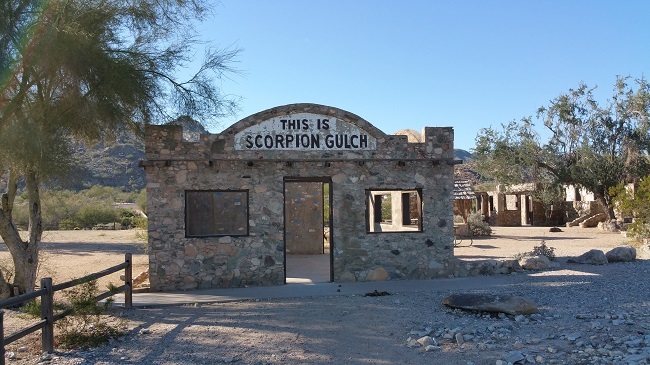 Sometime in the 1970s Scorpion Gulch became a bar. 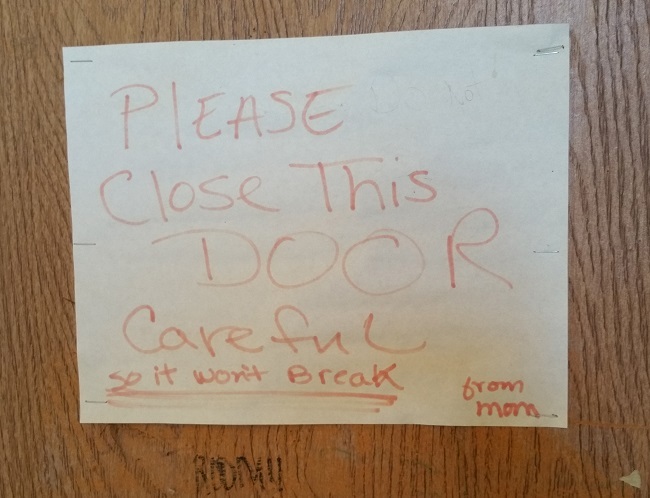 It isn't clear how long the bar operated or when it closed. 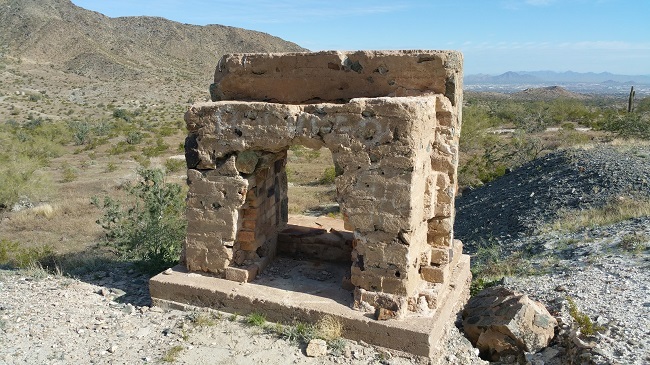 When I arrived I was surprised and a little disappointed to find that Scorpion Gulch has been somewhat restored. 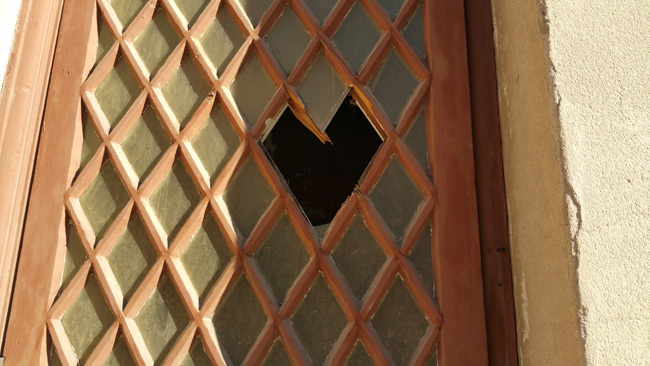 A "stabilization" effort began in 2012, in which the roofless stone buildings were cleaned up and given new wooden window frames. Scorpion Gulch now has an overly sanitized feel to it that I didn't find particularly appealing. On the plus side, it is now a public park, which means everyone can enjoy it. Thankfully I got there early enough that no one else was around. When I passed by an hour or so later, quite a few people had arrived, along with several rolling racks full of clothing. It looked like a professional photo shoot was taking place. 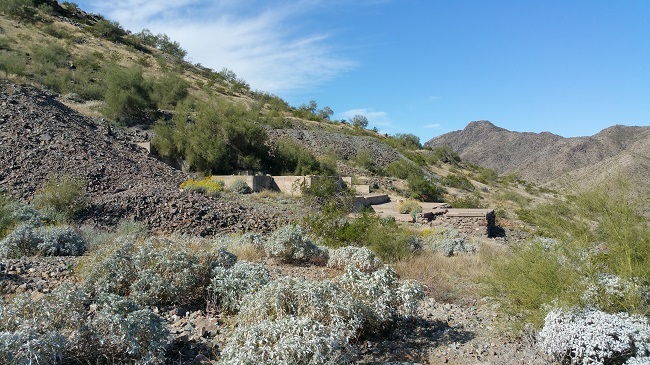 Next I headed into South Mountain Park Preserve to check out Max Delta Mine. 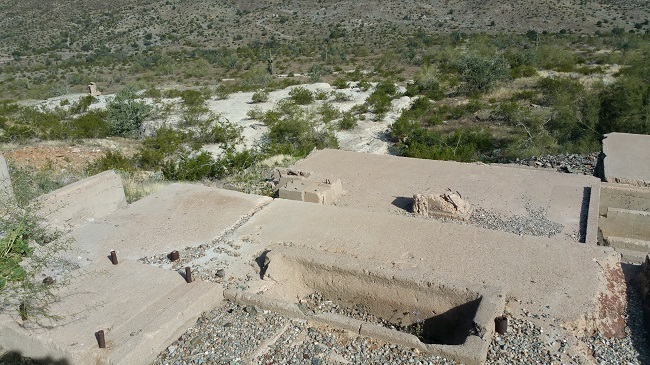 A short easy hike took me to the foundations where structures once stood along the side of the mountain. And one very lonely fireplace with a beautiful view of the countryside. 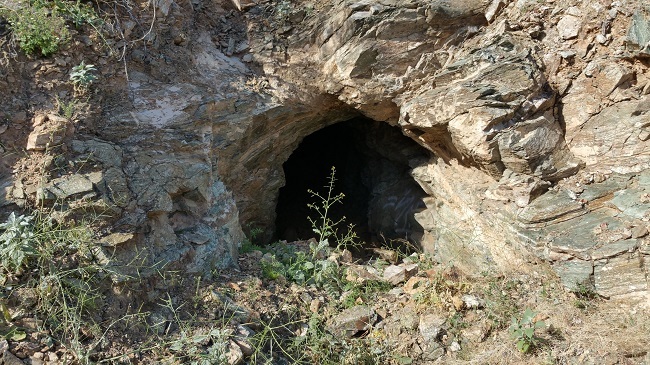 Max Delta Mine operated in the early 1900s, supplying massive amounts of Gold, Silver, and Copper. in 1935 Max Delta Mine was the fourth largest producer of gold in the US. 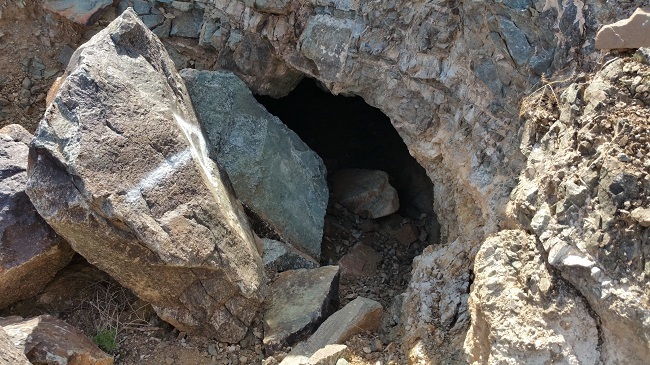 The network of tunnels inside the mountain is quite extensive, but also incredibly hazardous. I had no intention of trying to explore the mine itself. It has many levels, some completely flooded, others lined with rusting rails and fatal drops into the darkness below. 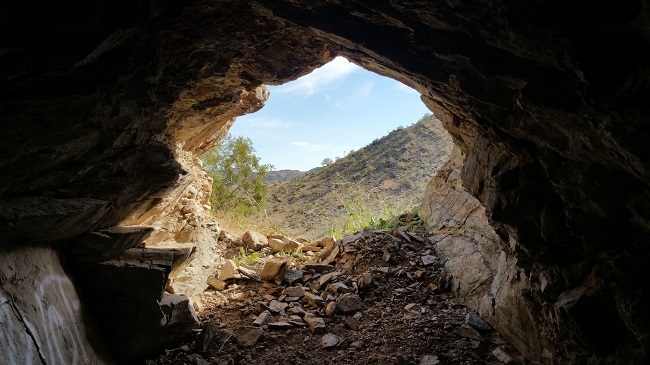 My adventure through the hills of Arizona's Black Mountains several days earlier had satisfied my desire for mine exploration for the time being. 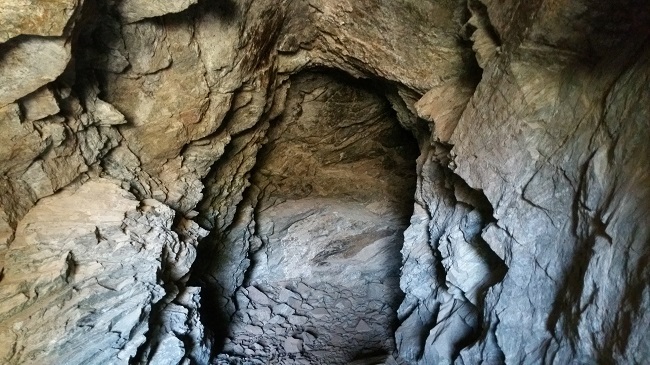 The short hike to Max Delta Mine got my blood moving and I felt invigorated and ready to take on the day. I got back on the highway and headed to the former site of Beeline Dragway (a great name for a racetrack, don't you think?). The site was not well marked, and I almost missed the turnoff. Beeline Dragway was a popular drag racing site in the '60s and '70s, featuring two quarter-mile racing strips. People came from miles around to watch muscle cars and custom-built racing vehicles compete against one another. 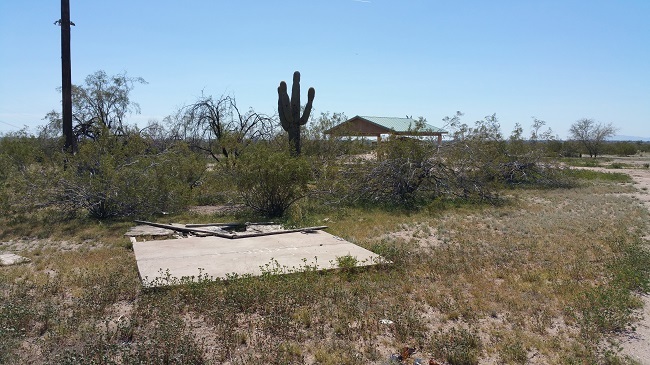 Entrepreneur Jim Rogers built Beeline Dragway in 1963 on land he leased from the Salt River Pima Indian tribe. It closed in the early '80s when the popularity of drag racing was in decline. 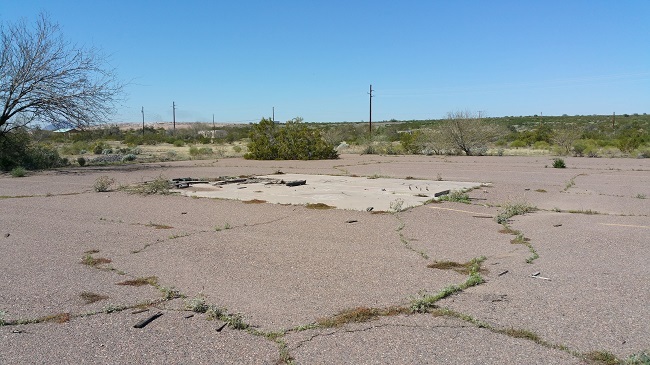 Sadly, all that remained of Beeline Dragway by the time I arrived was the concrete slab where the main building once stood. The Google satellite image I'd looked at had been out of date and still showed at least one building standing. 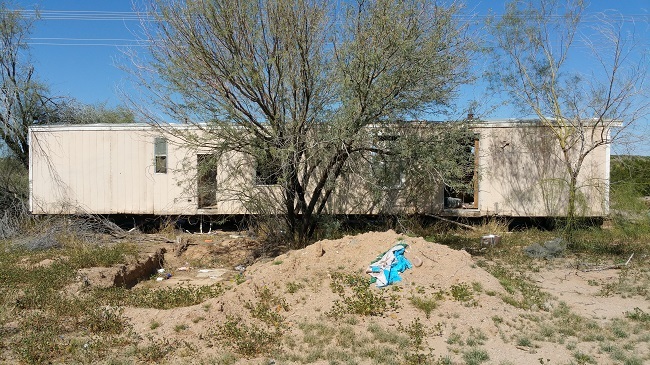 and an abandoned trailer home where I assume the property's caretaker had lived. 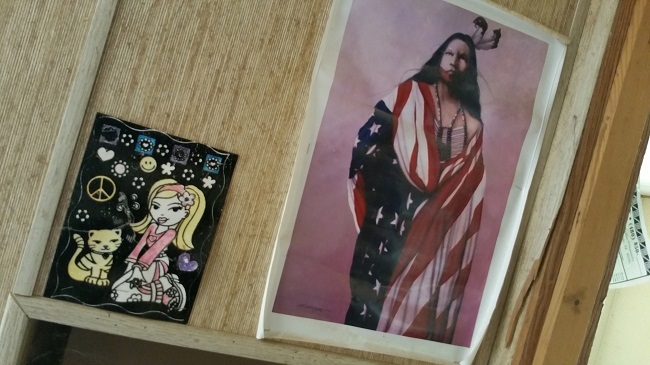 but quite a few artifacts remained, allowing me to conjure a mental picture of the family that had once lived there. 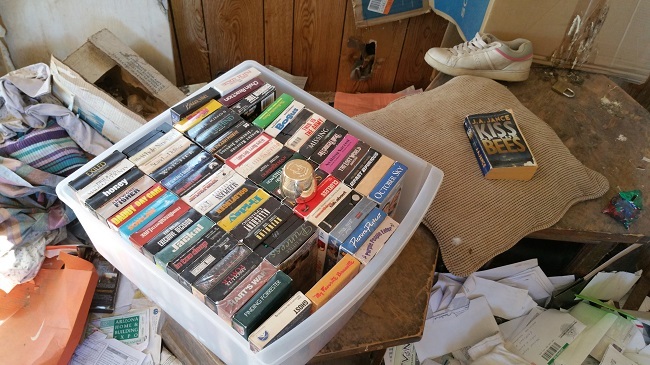 Judging by the amount of possessions left behind, they must have moved out in a hurry. 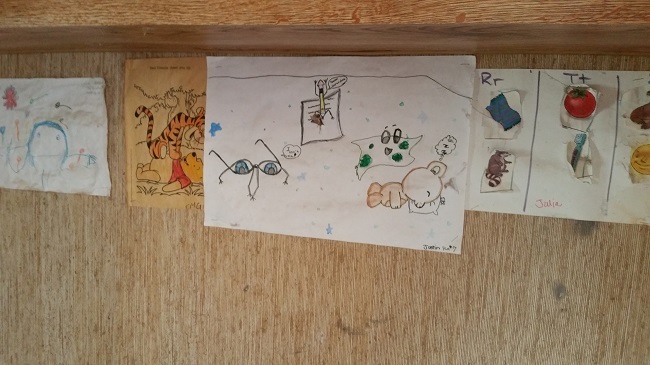 In addition to the collection of VHS tapes and mound of clothing, several important legal documents littered the floor: a trust fund statement and a summons to appear in court, dated 1996. I got back on the highway and headed south to check out a grain elevator and a citrus packaging plant, which I'll tell you all about next week. Great pictures. I'm also exploring Arizona. I hope to take some good pics too. Thank you! 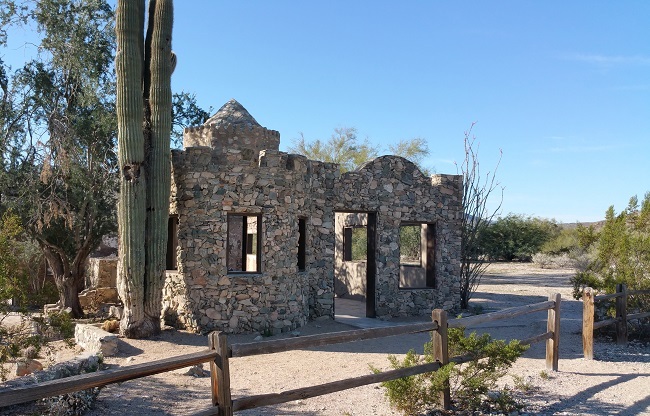 There are so many great places to check out in Arizona. Have a great time! Check out some of my other blog entries if you need ideas for more places to stop at. Great post. 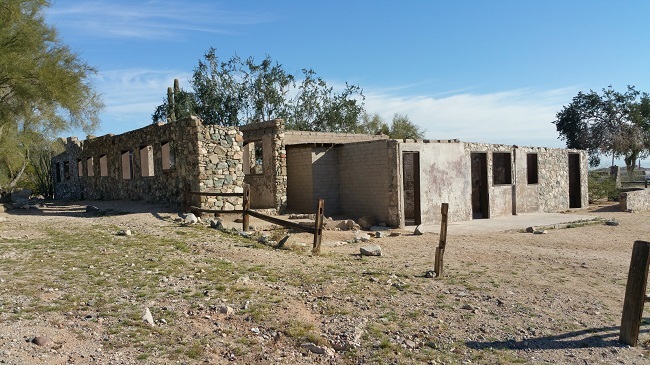 The next time you are in the Phoenix area and looking for a place to explore, check out the abandoned ghost town that is just south of the turnoff for Badger Creek (north of Phoenix on the I-17, a little bit north of Black Canyon City (where you've been). 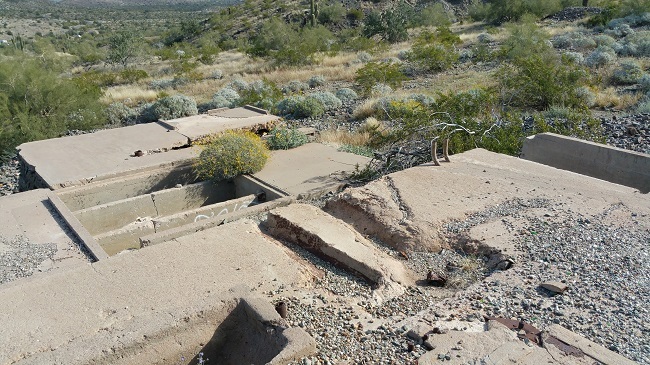 The remains of a silver mine that operated up until the 1930s, full of mine buildings, abandoned machinery, spookily deep mine shafts, foundations, and graves of workers. 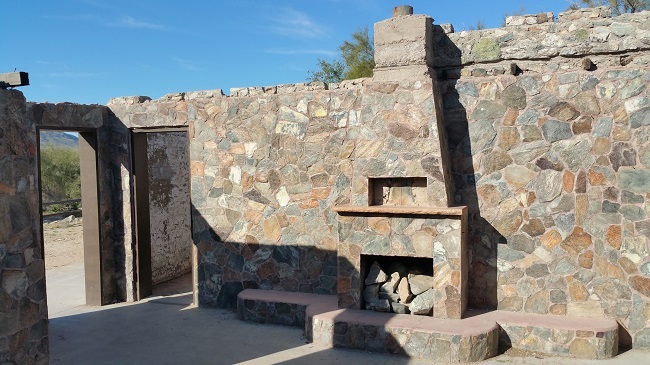 There is a beautiful canyon it overlooks, with Hohokam petrogylphs on the walls, a sometimes-flowing creek, and a riparian environment full of cottonwood trees that you would never know was there as you drive past on the I-17. The Audobon Society declared it a national birding area for the number of species there. Very pleasant day hike. Thanks for the info, Mike! Sounds like a place I'd love to check out. Next time I'm in the area I'll see if I can find it.